5. Iron Fist. He is my favorite Marvel character and has been for a long time. So why is he the bottom of my list? Iron Fist has some good stories, the original stuff is incredible. The re-launch was mind blowing. I’m even okay if they use the new costume that loses the disco collar. 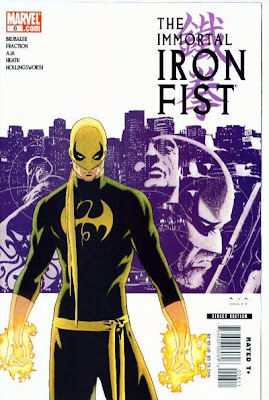 But outside of that, there are a lot of horrible Iron Fist stories. I’ve been a fan long enough to read a lot of them. The mind numbingly bad Iron Fist/Wolverine series is just an example of how bad Iron Fist can be. I’ve seen him taken through the wringer before, it might be painful to see on the screen but I could deal with it. Also, Iron Fist has been in movie limbo before. I’m not worried just because a writer was named. Not yet anyway. 4. Wild Dog. I know what you’re thinking. Wild Dog? Who the hell would make a Wild Dog movie? 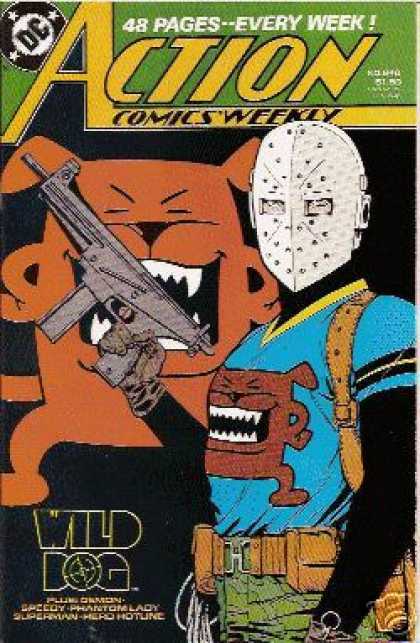 Either that or, who the hell is Wild Dog? Wild Dog is a late 80s vigilante character in the same vein as the Punisher. He didn’t take off for some reason. Just being on this list means he is one of my favorite characters. His background is downright wacky. College football player has to drop out due to injury so he joins the marines. His squad is wiped out. Takes a night class to become a car mechanic, falls in love, and his girl friend is killed by the mob because she is the daughter of a mob boss. So if they want to clean up the story, I’m ok with that. I’m more worried that he’d be turned into a gun crazy psycho who talks to his machine guns. His last comic appearance was an alternate timeline story, but it wasn’t very kind to him. In the one and a million chance he gets an adaptation I hope we can avoid that treatment. 3. 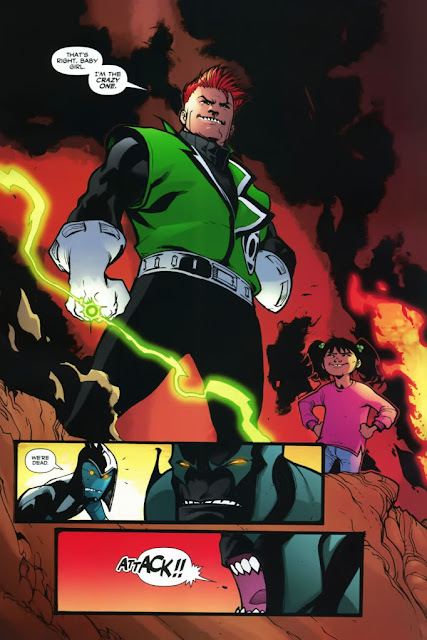 Guy Gardner. Guy is my favorite Green Lantern. In my mind he is also the character most writers get wrong. Keith Giffen wrote a lot character growth for Guy, but he also made him a joke. Since the Batman “one punch” incident many writers make Guy a laughing stock. Boil it down; Guy is a bit sexist, rebellious, and jingoistic but he is still a hero. He is a power house that does the right thing. He may complain about it, or do things his own way, but he gets it done. If there was an adaption with Guy in it, I’d be very nervous that he’d be used for comic relief. Guy should get some great one-liners, not be the joke. I didn’t post actors for most of these, because I really don’t know who I would want in the role. To me, and it probably would never happen, Burn Gorman who played Owen on Torchwood would be an amazing Guy Gardner. 2. Flash. I probably surprised you that this isn’t number one. There is a Flash movie in the works. There has been for quite some time. I’m prepped for that. I’ve seen the Flash in all the cartoons. I own the Flash tv show on DVD. I know enough to expect Flash to be portrayed as a joker, womanizer, and will act before he thinks. Recently it has only been that early Wally West personality, despite the fact that he is now a loving husband with two kids. I get it, especially with a larger Justice League cast they need a personality that will stand out. 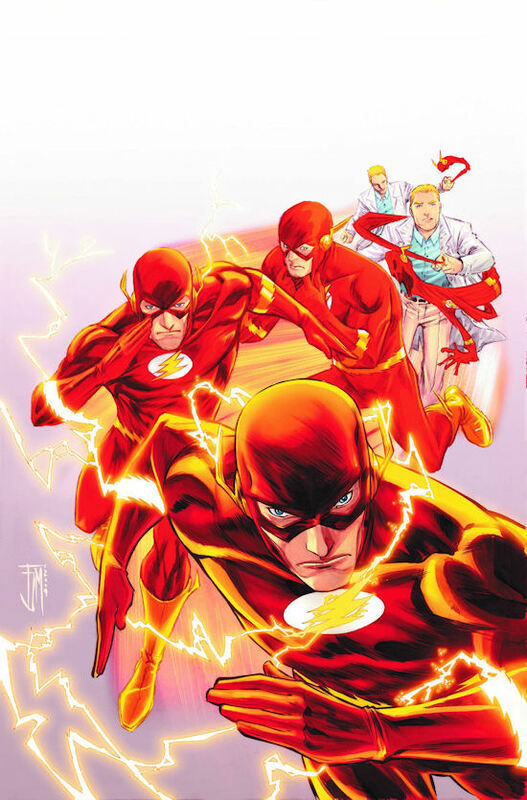 Now that Barry is back I’m guessing that all Flash appearances are going to be him. What personality will they give him? That is the real question isn’t it? And that is why I am nervous despite all the other Flash appearances. 1. Starman. How did Jack Knight beat out my all time favorite superhero? Starman’s story has a defined start and end, we aren’t drawing on years and years of continuity to pick from. It remains my favorite comic story ever told. I can’t recommend it enough. One movie wouldn’t do it. It would take something like an HBO series to tell the entire thing. I adore the run so much any changes to it would annoy me to no end regardless of how much I tried to keep an open mind. Hell, just the casting of Jack would probably be enough to have me rabid. 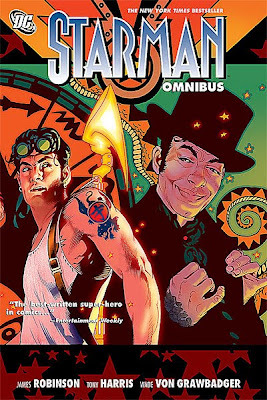 If you’re unfamiliar with Starman it is the story of Jack Knight as he inherits the role from his brother and father. The supporting cast is just as important as Jack, character like the Shade, the Mist, and the O’Dare family are so wonderfully fleshed out they seem like real people. I’ll freely admit the story has made me cry more then once. I could talk Starman for ever, so you’ll probably see another article about him pop up somewhere down the line. So there are my top five. I also asked Brandon to make his top 5 since it was his text that started it. But work has got him slammed so expect that sometime next week. It’ll be an interesting list since I know Dare Devil and Dr. Doom are two of his favorites and we all know what happened to them. Also if anyone knows what happened to the original art of that Action Comics cover I’d be willing to make a deal. I might be broke as sin right now, but I’d find a way.